Learning to drive properly and safely is so important. It keeps you safe and other road users safe aswell. Driving a car with little experience and lack of awareness can cause serious accidents with serious consequences and nobody wants to see that happen. We need to see less of it! All this is the responsibility of the learner driver and should be taken seriously as you start your journey to learn to drive. As a learner driver you must complete the following stages in order to get your driver's licence. There is a lot involved but don't worry, The RSA School of Motoring are here to help with everything you need to know to get you on the road. 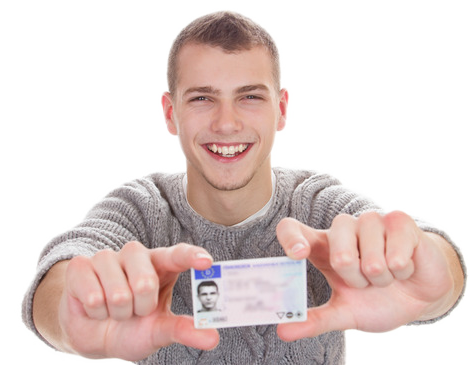 First, you apply for and obtain your First Car Learner Permit from the National Driver Licence Service. Next, you complete your 12 EDT lessons with an RSA Approved Driving Instructor. Between your EDT lessons you need to practice with filler lessons, this should be done with your Sponsor. When you have advanced your skills to a level the RSA approves of, you complete a preliminary test. When you complete your EDT and you have had your permit for 6 months you can now make a booking for your driver's license test. After you receive your test date we advise that you take some pretest lessons with your ADI. These lessons are invaluable in order to pass the test. When you book your EDT or pretest lessons with the RSA School of Motoring Meath you will be placed with an approved driving instructor that will help you complete the EDT and with pretest lessons help you pass the test. At the RSA School of Motoring in Meath we believe there are 3 factors involved in teaching you to drive. That’s the approved driving instructor who explains the theory, your sponsor who helps you practice, and YOU, the most important person of them all. Let's explain these roles better! ‘ADI’ is short for ‘approved driving instructor’. This means that they are government approved and have the skills needed in order to teach driving lessons. They follow the official syllabus known as 'EDT' or ‘essential driver training’ for learners. They also log each lesson in your logbook and on the online portal of the RSA website to prove completion of each lesson. If needed your ADI can also be your sponsor and provide filler lessons during your EDT. They can also provide pretest training which will teach you how to pass the test. Overall, your ADI is a very important person. Their job is to teach you how to drive correctly and safely. Between each EDT lesson you will need to have a filler lesson with your sponsor. Filler lessons are used to practice what you have learnt during your EDT lesson and your sponsor is someone that you have selected to practice with. They must be an experienced driver and hold a full driver’s licence for at least the past 2 years (5 is better). We believe a sponsor should be a family member you know and respect and someone that is willing to set time aside for you to practice. They also have to sign a logbook to confirm the lesson was taken and jot down any comments they may have. As the student you have the most important role of all. None of the above will get you anywhere unless you absorb what your ADI says, and practice what they have taught you. Our ADI's can teach you everything you need to know, but only you can listen, learn and apply our advanced driving lessons. The secret to success is the effort you put in. Our mission is to help you get your licence but even more importantly, it is to make you a more competent safe driver. It is advised that your ADI, sponsor and you, the student meet regularly to dicuss your progress and how you can all help each other.